When I had to make my regular visit to the pathologist recently I had to lock my bike to this tap, it was the only available way of locking up the bike unless I took up a car parking space and locked it to a wooden railing in the car parking area. 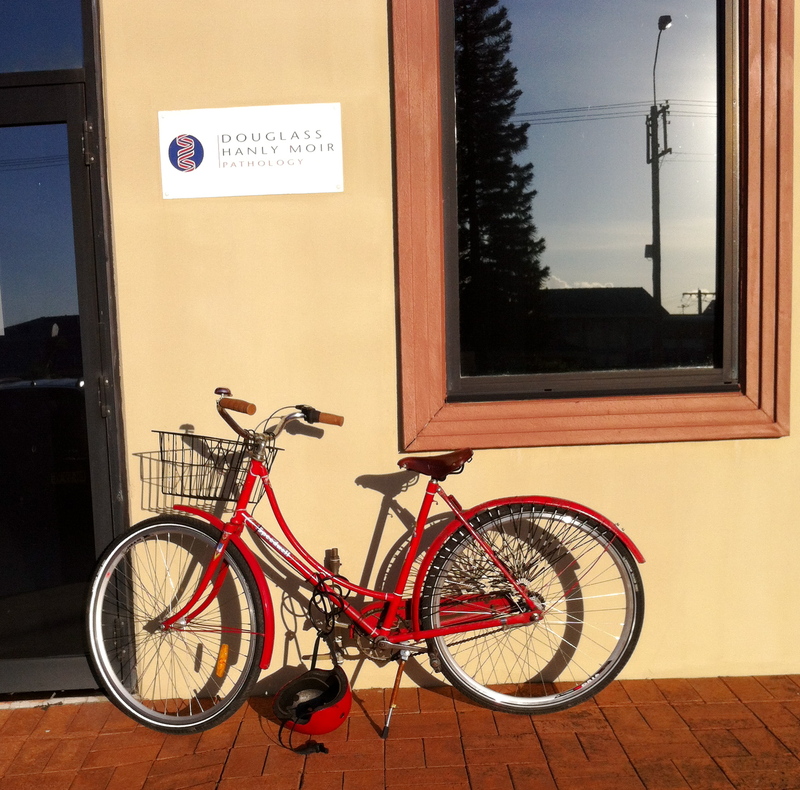 It would not take much for the pathology place to install some racks, encouraging staff and clients to ride, especially in a part of town that is flat and central. I also noticed this Repco, parked near the bike rack which you can see on the right, and, to my eyes, it was not locked. A few minutes later I spoke to its owner and he showed me the locking device on the front wheel, you can just see it attached to the right hand fork of the bike. It locks a small cylinder of metal into the spokes of the bike and prevents a “ride away” theft. Even though he told me the bike only cost a slab of beer, I think it is too nice a bike to risk the “throw on the back of a truck” type of theft that can happen. 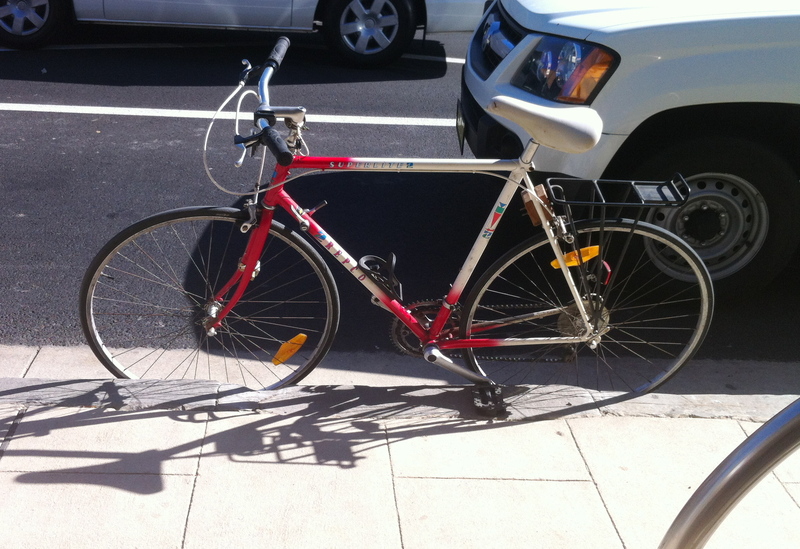 This entry was posted in accessories, Bike racks, Newcastle, Repco, Vintage bike, Vintage bikes and tagged Adamstown, bike locks, bike racks, newcastle, repco, speedwell, vintage bike. Bookmark the permalink.